I love starting a fresh, new year! It is such a good time to reevaluate everything and commit to being better. One way I start my new year off right is with some major organizing! 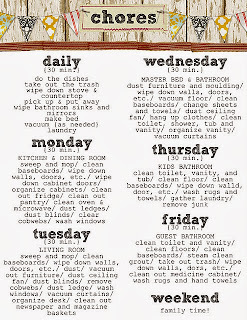 Here are some ideas for daily chores. 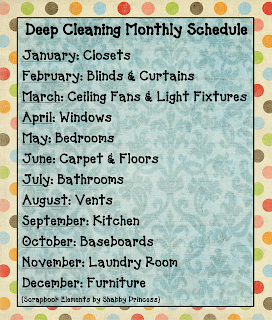 It only takes 30 minutes a day to have a clean house! You could hang this on your fridge to remind you what needs to be done that day. 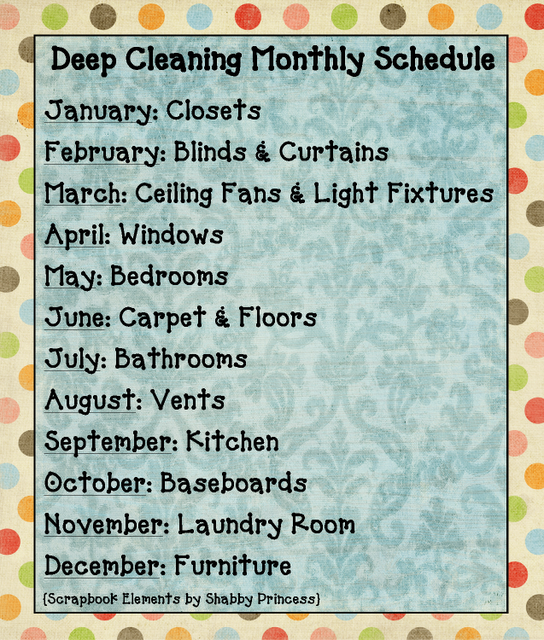 This chart gives you one big project a month to clean. A lot of these go unnoticed until they are filthy and covered in dust! 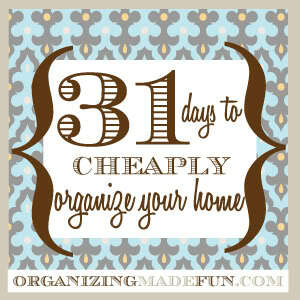 Organizing can be expensive, but check out these tips to cheaply organize your home in 31 days! 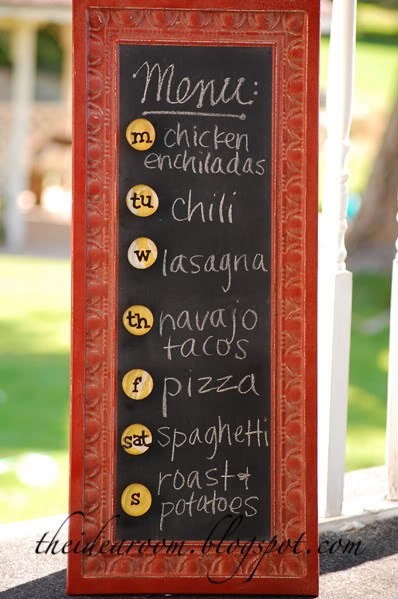 I love this menu board. 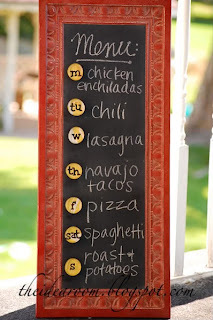 This would be a great way to plan your meals for the week! Using these soda racks in your pantry or storage room can help organize canned goods! This DIY PVC bin organizer would make any garage look a lot better and would give easier access to your stuff! 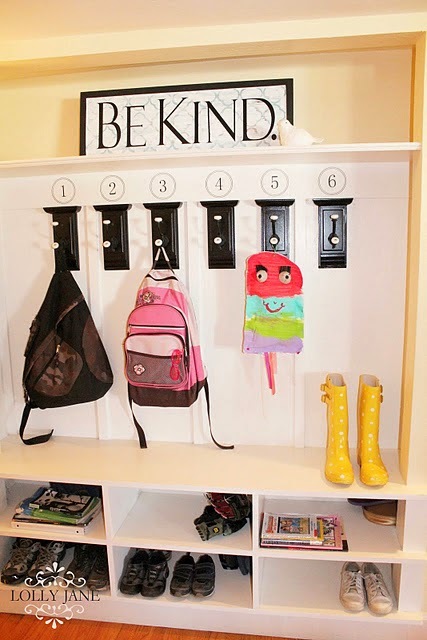 This numbered cubby system would give kids plenty of space to put their shoes, backpacks and other items! Attaching shelves to the inside of cupboard doors gives plenty of room for all of your smaller items! 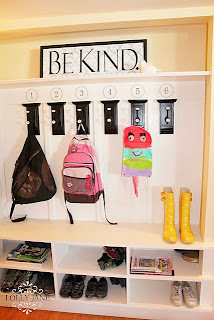 Hope these few ideas help you in your organizing this year! 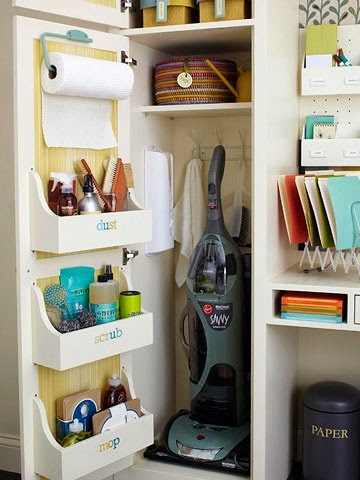 If you have any ideas on organizing on a budget, we would love to hear them! 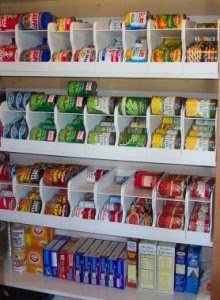 Using soda racks in your pantry or storage room can help organize canned goods! no link?? Do you know where they got the soda racks?? they look adjustable?? Wow, I'm so not even close to being organized. Can you come here? K, thanks. GREAT ideas! I just know that I won't stick to lists for very long. Any ideas on how to stay disciplined? haha. Where do I find the soda racks for the canned goods? Been wanting to do this since I saw one on tv. 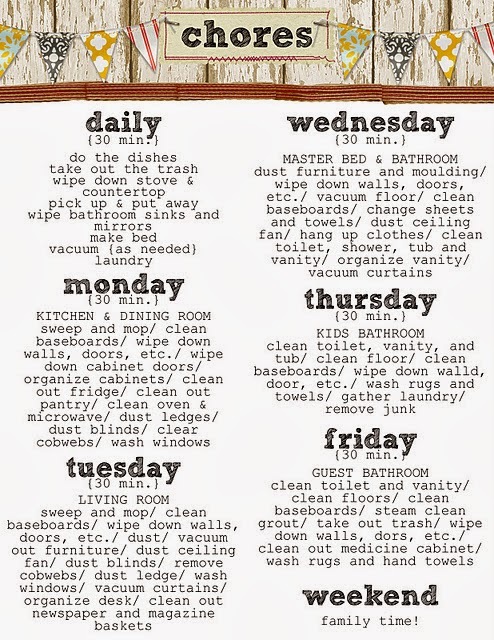 Wow, someone is SUPER WOMAN to be able to accomplish all those cleaning things in THIRTY MINUTES! Ouch, makes me feel very slow, lol!! Ugh!! There is nothing worse than an amazing post and NO LINK! Can yall please please please provide the information on the can storage that is pictured above. Please!! Go to Amazon.com and search for "soda racks" and you will find a great selection of them. A very well manage stuff in a short place with a manner. 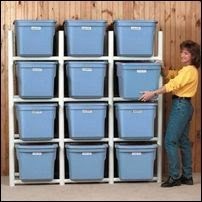 I'd really love info n the do it yourself pvc storage bin holder. I can't find a link. Is 30minutes really a realistic time frame for daily cleaning? I love reminder lists but you lost me at "wash windows". LOL Sorry but had to share. Great ideas. I was searching for ideas for storing soda in a basement and - duh - the soda racks!!! !